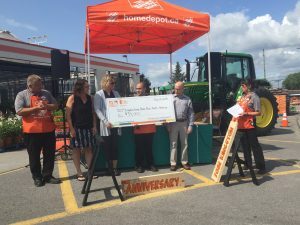 On July 28, 2018, the local Home Depot store celebrated its 20th anniversary and used the special event to announce The Home Depot Canada Foundation grant being awarded to Home Base Housing’s Lily’s Place Emergency Shelter. The $35,000 grant supports initiatives that prevent and end youth homelessness through renovation and repair projects that provide youth access to safe, stable shelter and support services. We are grateful to The Home Depot Canada Foundation for selecting Home Base Housing’s Lily’s Place Emergency Shelter for this grant. 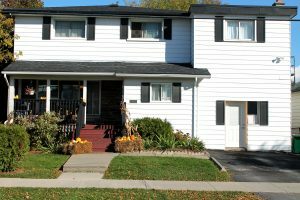 Lily’s Place Emergency Shelter is the only shelter in Kingston that is specifically for families who are experiencing homelessness; many with youth and small children. Its 19-bed capacity in a home-like environment makes the shelter as close to “home” as possible. In addition to Emergency Shelter Workers who assist the families “in house”, there are also Housing First Case Managers who meet, assess and assist the families in securing a new home because, at Home Base Housing, we believe everyone deserves a place called home! 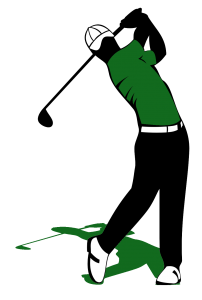 On September 9, 2018, the 3rd Annual Links with Lily Golf Tournament taking place at Camden Braes Golf & Country Club with a shotgun start at 1 p.m. Come early to sign-in and try out our putting contest! The tournament is a fundraiser for Lily’s Place Emergency Shelter which is the only family shelter in Kingston. With 19 beds, families who are experiencing temporary homelessness are able to receive assistance in securing appropriate housing while stabilizing their lives in the homey atmosphere of the shelter. Our first tournament raised more than $10,000 making it possible to continue offering important services to those who need assistance. In 2017, this event raised $7,000 in support of Lily’s Place Emergency Shelter for families. The fee for the tournament is $100 which includes golf, cart, goodie bag and dinner. If you’d like to join us for this fun(d)-raising event, please email linkswithlily@gmail.com, someone will be in touch to confirm availability. We are also looking for donations for our tournament prizes and silent auction if you would like to promote your business through this tournament. You may contact Mark Brooks at markbrooks@royallepage.ca or call him at 613-536-8057.